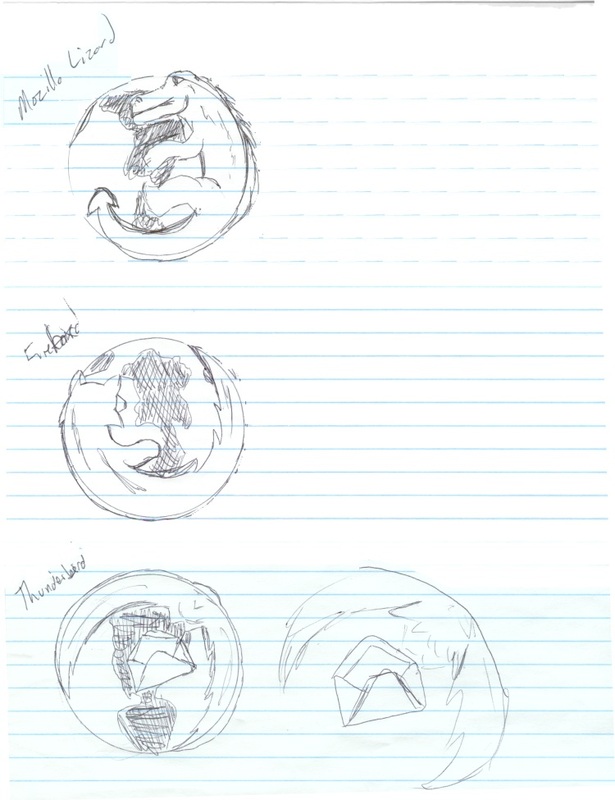 The second of two pages of sketches by Stephen DesRoches that led to the creation of the Firefox logo. contributor file: Objects that were contributed to the Mozilla Digital Memory Bank via the online file upload interface. 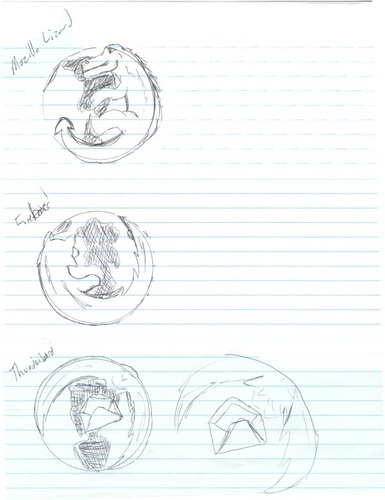 Description: The second of two pages of sketches by Stephen DesRoches that led to the creation of the Firefox logo.